On October 17th at the premises of Troodos Development Company in Cyprus was held the final conference of ECODESFORFOOD+ project. The platform of the project was presented in detail as well as the importance of eco packaging in the food sector. Case studies regarding the added value of eco packaging were discussed while the companies of the region declared their great interest on the topic and on the fact that the EU promotes such activities especially for people living in the rural areas. 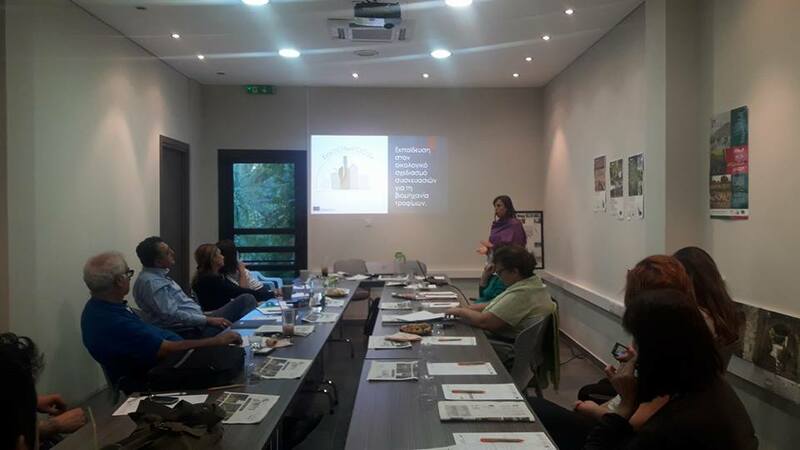 The General Manager Troodos Development company Mrs Klelia Vasileiou, the General Manager of Marketmentoro Ltd Mrs Katerina Kadena and all the participants committed themselves to help SMEs towards a better more sustainable future.